“Bandwagon” is a good old fashioned b-side. It doesn’t require any context to be enjoyable, and it thrives without having to live up to any sort of expectation. It’s doesn’t have the oomph of a proper a-side, and wouldn’t have made much sense if it had been included on Fables of the Reconstruction, but it’s a happy little gem that serves as a fine complement to the levity of “Can’t Get There From Here.” The song is carried by Peter Buck’s breezy, cheery chord progressions, which is contrasted with a rather cynical and sarcastic lyric by Michael Stipe that gently mocks herd mentality, and comes about as close as he has ever come to telling other musicians not to bite his band’s style. “White Tornado,” “Windout,” “Rotary Ten,” and “Burning Hell,” were written by R.E.M., but they aren’t really R.E.M. songs. They are essentially genre pastiches used to serve a function on stage, musical shorthand that they band outgrew once they had enough material to fill out a full concert. These aren’t serious compositions, but rather fun indulgences: “Windout” is a competent but uninspired garage rock rave-up; “Rotary Ten” is an amusing faux-jazz instrumental for an imaginary film;”Burning Hell” is ersatz badass riff rock; the alternative title for “White Tornado” was the bluntly descriptive “Generic Surf.” There’s not a lot to these songs that other artists haven’t made a career out of doing much better, but there’s a pleasant mix of irony and reverence in the way the band embraced these standard song forms while pushing themselves toward something more distinct in the rest of their material from the period. 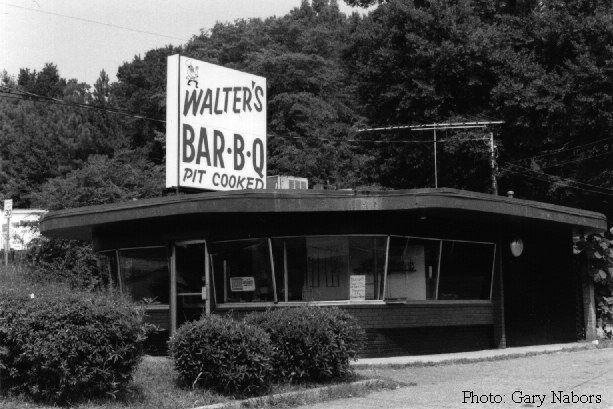 “Walter’s Theme” was written as a unsolicited jingle for Walter’s Bar-B-Q of Athens, Georgia. It’s a fun, goofy instrumental with some muffled chatter and wacky noises made by Michael Stipe filling in the negative space before the song halts and segues into a loose, sloppy version of “King of the Road.” It’s kinda hard to be critical about a recording that is so incredibly unpretentious and informal. It’s pleasant and fun, and it makes me wish that I could head on down to Walter’s for a plate of ribs because, well, I suppose I just trust Peter Buck’s judgment vis-a-vis barbecued meats.